Located on the corner of Beach Blvd. and Main St. in Bay St. Louis, The Blind Tiger is a long-awaited addition to the Old Town restaurant scene, as it is the first restaurant to open its doors on the beach side of Beach Blvd. since Hurricane Katrina. 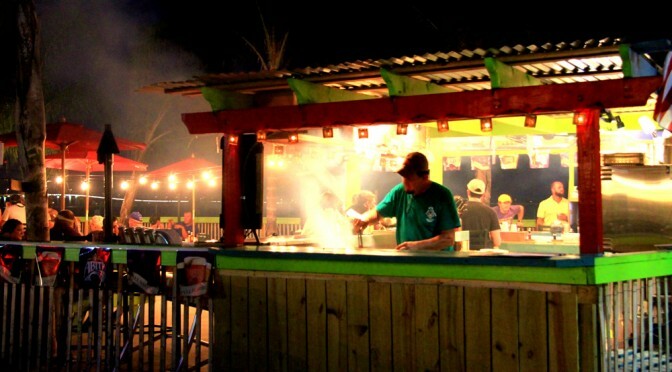 This cool, open-air establishment is everything a beachfront hangout should be…colorful, inviting, and loaded to the brim with fresh Gulf seafood and juicy burgers. QUESTION TO COASTAL90.COM My husband and I are going to be staying at my son’s in law camp we want to drive to Old Town Bay St. Louis. We have been there a couple of times and then ride r bicycles around could you please give us any advice like where to park at and some great bike riding areas to see. Bay St. Louis Old Town is a great area to visit and bike. For parking I would park on Main Street or when open the Bay St. Louis Parking Garage. (It may be closed due to Construction) Bring plenty of Water because it can be warm especially during the summer months. I would swing by the Depot District and Duck Pond first. This will get you about a 5 minute bike ride from Main Street. The Cypress Cafe is located there. The old train terminal and several other shops and business are located in this area as well. Head back to Main Street and Visit the Sloppy Dog’s Cafe. This is a great little cafe serving gourmet hot dog’s in Bay St. Louis. Check out the Hancock Historical Society located on Cue Street across from the Court House. Great history collection and nice museum of Hancock County. Close out the day at Serious Breads. Oh my god do they have the best bread and cookies in Mississippi! I know because we work above the bakery. Smells good Everyday! Cypress Cafe has moved to the Old City Hall Building next to the City Park on South 2nd Street. There is so much to see. I will also post a bike ride map shortly to show the points of interest that are great stops as well. The Mockingbird is the local coffee shop where you are most likely to see almost everyone in town. This funky fresh coffee shop is sure to please with their food, beer and espresso drinks. The owners are always jazzing up the place with fresh beers, art and specials. Check out the Mockingbird when visiting Old Town Bay St Louis.